MobyMax is a platform that offers schools the opportunity to get their hands on curriculums specially designated for K-8 subjects (science, math, language, reading, science, social studies, etc.). 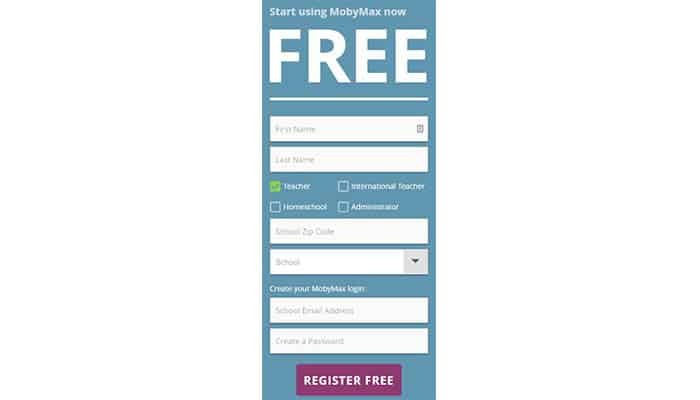 In the following MobyMax login guide, you’ll learn how to log into your MobyMax account, and gain instant access to the interactive and thoroughly-developed courses and sessions. We show you how to log in on a computer and mobile device. Head over to the MobyMax sing in portal. Choose whether you are signing in as a student, teacher, parent, school administrator, or district administrator. When logging in as a student or parent, you first have to input the school name or code. Then, type in the given username and password. For teachers and administrators, type in the school email and your password. On the computer version, users have the possibility to sign in through other linked portals as well. Here are the steps you need to follow depending on the platform you are using. Find and click the Clever link at the bottom of the MobyMax login page. You will see a popup of the Clever login portal, where you will search for your school. On the next page, input your username and password. Click Log in to access your account. Find and click the Edmodo link at the bottom of the MobyMax login page. On the Edmodo login popup, type in your email address or username in the first field. Click Log In to complete the login process. Click on ClassLink at the bottom of the page. Input your username, password, and school code (optional) on the popup. Click on Google Classrooms at the bottom of the login page. Allow Google permission to access your Classroom classes. Follow the instructions on the screen to login to your account. Go to the official MobyMax website. Input your first and last name in the designated fields. Choose whether you are a teacher, international teacher, administrator, or homeschool. Enter your school’s zip code. Select the school you belong to. Click “Register Free” to create an account. Open your designated mobile browser. Navigate to the login portal linked above. From the drop-down menu at the top of the page, choose your role (student, teacher, parent, school administrator, or district administrator). If you are logging in as a student or parent, first enter the school name or code. Then, input your username and password to log in. If you are logging in as a teacher or administrator, input your school email and password directly. Tap the Sign In button to complete the login process. There are currently no applications that you can download on your mobile phone to log in to your account. So, if you want to access your account on the go, just follow the instructions above. What you can do: Make sure that you are inputting the right email, and that you are typing it correctly. Alternatively, try clearing your browser’s cache by following these instructions. What you can do: Ensure that you are inputting the right school code, which distinguishes your school from others of the same name. Confirm you’re typing the username correctly. Clear your browser’s cache. A spinning circle that doesn’t load your account. What you can do: Clear your cache or switch to a different browser. If you want to get in touch with MobyMax, you can call them at 1-888-793-8331 or send them mail at MobyMax, P.O. Box 392385, Pittsburgh, PA 15251. Alternatively, go to the MobyMax official website at mobymax.com, and find their Contact Us or Support page.